Molly Graham has seen a lot. Her team at Google leapt from 25 to 125 in just 9 months. During her 4+ years at Facebook, the company exploded from 500 employees serving 80 million users to 5,500 employees and over 1.1 billion users. (Her job was to sort out the culture, compensation, and performance systems to help make that possible — no big deal.) And now, as COO of productivity tool startup Quip, she’s both laying the groundwork for her team to grow, and catering to a customer base of startups (Instacart and New Relic among them) who have the pedal to the metal. If there’s one thing Graham knows for sure, it’s that scaling comes with an utterly unique set of problems. Some of them are funny — like needing to replace everyone’s big desk with smaller ones so all the new folks can fit, or moving into an office that's already too small for your growing team. But some of them are far more serious. “I think it’s important for people to talk about what it feels like to be inside a scaling company because it helps people realize how normal their experience is — and identifying that experience as a leader can actually help your team,” says Graham. She saw so many people struggling with the same emotions during her time at Facebook that now she actually gives a talk to people on her teams about it. “I call it the ‘Give Away Your Legos’ talk,” she says. That’s why her talk is about Legos. The emotions you feel when new people are coming in and taking over pieces of your job — it’s not that different from how a kid feels when they have to share their Legos. 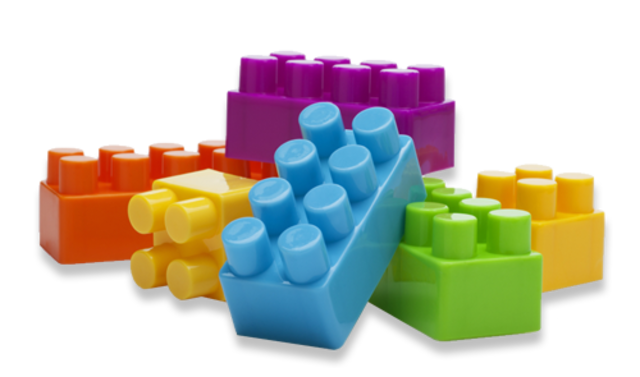 There’s a lot of natural anxiety and insecurity that the new person won’t build your Lego tower in the right way, or that they'll get to take all the fun or important Legos, or that if they take over the part of the Lego tower you were building, then there won’t be any Legos left for you. But at a scaling company, giving away responsibility — giving away the part of the Lego tower you started building — is the only way to move on to building bigger and better things. That’s one of the other counterintuitive things: Adding people doesn’t mean there’s less work for the people that are already there. It means that the entire company can do more. If one person was managing all of marketing before and then you hire someone to manage your content channels — the person who was doing marketing before is not going to have less to do. It either means that she'll be able to do the rest of her job better, or that she'll be able to take on new things. For high performers in really fast-growing situations, this happens all the time. Graham emphasizes that one of the secrets of people who are really successful at fast-growing companies is how rapidly they're able to adapt to the chaos and uncertainty of adding new people. They become adept at redefining their jobs on a regular basis, and they become comfortable with the largely uncomfortable emotions that naturally happen when a team doubles or triples in a short period of time. At Quip, Graham’s job changes every three months. This doesn’t mean her title changes, but the content of her work shifts radically. For example, she’s gone from basically being the only sales person (and the marketing person too!) to functionally operating as VP of Sales and Marketing. “Every three months, I go through a phase where I’m a little uncomfortable and certain I’m doing the wrong things or operating at the wrong level, but then it passes and I find my new job,” she says. Graham’s had the benefit of conditioning to weather these changes. At Facebook, when they were onboarding 20 to 60 people a week, she got so used to ceding responsibility every three to six months that she considered it part of her job. Help them understand that the emotional chaos they feel is normal so there’s no need to overreact. And in fact, they should often do the opposite of what their instincts tell them: Don’t latch onto the Legos you had before. Give them away and move on to building the next taller, cooler tower. One thing you can encourage people to do is not fixate or act on their emotions right when new people come aboard. Instead, tell them to ride it out and see how they feel in three weeks or a month — that’s when they should be coming out the other side and feeling better. Maybe set a meeting up to chat after that time has passed to see how things are going. That's a good way to keep an eye on how scale is affecting your team, says Graham. The next best thing you can do is point to the new bright, shiny tower that needs to get built. At Facebook, one of her closest co-workers had built the beginning of a big project and their manager asked Graham to take it over. They wanted her co-worker to move on and focus on a new area that was even more important to the company, but she had a tough time letting go. “This was actually a very good friend, so it wasn’t that she didn’t trust me, she was just uncomfortable with giving away something she had started building,” she says. One of the best techniques for getting people through job-change anxiety is to help them picture the reality of their next job and the size of the opportunity. People get lost when they’re overly focused on the job they used to have and they can’t see what awaits them on the other side of these emotions. Graham says she sees this pattern again and again on teams she’s led, with people she’s coached, and with startups she works with at Quip. It seems like a fairly universal experience. Just as the personal experience of scaling comes with a separate, unique set of emotions, the phases a company goes through each have a character all their own. As either an employee or a partner, Graham has experienced each of these phases in turn, has absorbed the challenges that come with each, and has seen these changes handled both well and poorly. What follows is a definition of each of these movements in a company’s life, with one caveat: Like people, companies are distinct in how they work, look and feel. One startup may still feel like a “chaosfest” (Graham’s word) at 150 people, while another might feel bureaucratic and static at the same number. It all has to do with the unique character of the company — how it was founded, who its founders are, its product, etc. Graham claims that for the majority of companies, the true chaos of scaling (and also the formation of most of your company’s identity) happens roughly between 30 and 750 people. After that milestone, the scaling emotions are more team-oriented rather than company-oriented — like “Wow, now engineering is growing so fast!” vs. “Facebook is growing so fast!” These phases and how to handle them apply to team scale as well. 30 to 50 people is where you go from being a family to being a company, and everything starts to get really hard. With under 30 people, everyone knows each other well enough to walk up and strike up a conversation with practically anyone. You don’t even need to invest that much in communication. People can turn around in their chairs and talk to each other, and the priorities are clear because everyone’s talking about them all the time. You also need to over-communicate. Once you’ve written down who you are and what you’re doing in the world, you should always be talking about it constantly. It’ll feel like you’re repeating yourself every day and every All Hands meeting, but that’s probably when you’re communicating just enough. Philosophies can answer a host of questions about an organization: What does a high performer at the company look like? What role does feedback play? What is the role of a manager at our company? How can someone fail here? Hiring is a network effect. The first 100 people you hire will define the next 200. Google, Facebook and others have all conducted studies about what predicts the performance of a new hire. The single biggest indicator is who they were referred by. If you have high performers referring people, you’ll hire high performers. If you let low performers stay on staff because you’re too scared or insecure to fire them, then you’re building your future company in that mold. Early hires plant seeds. And what ends up growing depends on their character and commitment. That also makes this phase the most critical one for firing people (as unpleasant as that can sound). That’s not to say you can’t make changes at this size. It’s just that everything is much harder — and gets increasingly so as you grow. Facebook was able to shift its personality away from moving fast and breaking things to thoughtful, rapid innovation after 700 people. But it was only possible, Graham says, because Mark Zuckerberg was so good at articulating what he wanted the company to do and feel like. After 200 employees, any shift in culture needs to be undertaken very deliberately and with a lot of work by the leadership of the company — the CEO, of course, but also the leader of every major department. You have to pounce on any bad habits that could become part of your company's DNA. Whatever your company looks like at this stage is how it will be, floor to ceiling, when you're older and bigger. This is also where politics start to emerge, gradually at first and then with greater momentum. Graham defines politics as the moment when people start to act in their own self interest rather than the best interest of the company. It's often shocking when it first shows up. It can be a sign that you hired too quickly or aren’t communicating proactively enough about what behaviors will be rewarded, and about what you’re doing in the world. Strong, constant communication with the leaders of teams is the only way to keep things healthy. Everyone has to feel that they and their work are clearly tied to the broader goals of the organization. Everyone has to own calling out bad behavior when they see it. This is also when team leaders should look back at advice for CEOs to survive initial company scale. They can use most of the same tactics to keep their teams humming along without people feeling disillusioned or falling prey to the wrong priorities. You can also find great advice on team scaling from other experts here, here and here. Make a list of the qualities you want your company to embody. Who do you want to be? How do you want it to feel to work there? Write down what you’re doing in the world. What’s your vision for the change you want to make? Communicate these things again and again and again. Through all the channels. All the time. You can’t overcommunicate these ideas. Focus on hiring quality people rather than speed. Don’t lower your bar because you need to grow faster. It will come back to bite you. Fire people. Just do it! Hire amazing leaders as early as you can and help them grow their capabilities as the company grows. Keep giving away your Legos! And tell everyone around you to do the same. It’s going to be okay.